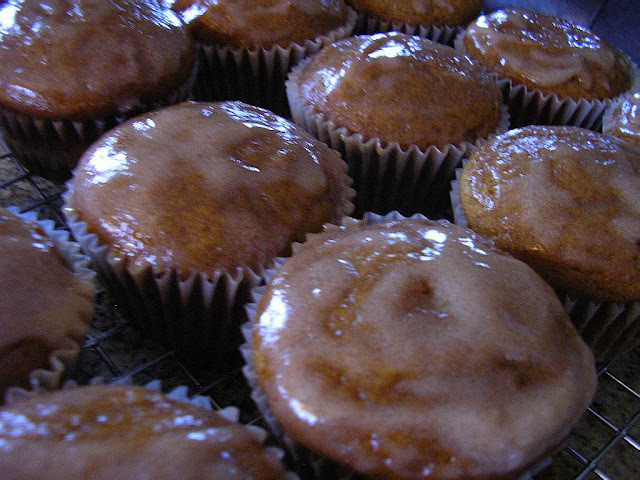 The glaze is a perfect addition for these muffins Rosemary. I wish I had all of ingredients ready and waiting so i could start now! 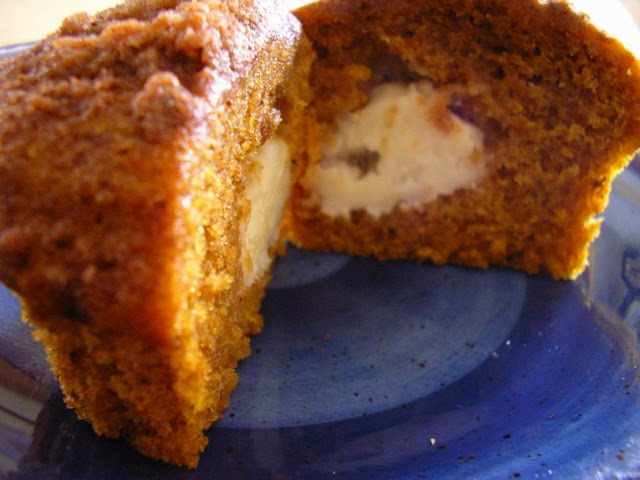 That is such a great idea - to fill muffins with sweet cream cheese! And I love a good streusel topping but I think your glaze (with apple butter!!) sounds (and looks) pretty wonderful too. This recipe is definitely a keeper! What a fantastic muffin recipe! I love all the takes on these scrumptious muffins. It is jammed packed with everything I love. The glaze was the perfect addition. Great idea with the frozen filling. I was always wondering how to fill my muffins.Thanks for shearing. I was one of those kids that ate the middles out of the cookies, bad girl, never ate the outside, I saw things and just went back in time 40 years! The middles wouldnt stand a chance here, and now my favorite is pumpkin I just gained ten pounds looking at the pictures! Fabulous recipe cant wait to try them! Oh these look amazing. I would have to make these and then give most of them away so I wouldn't eat all of them!! Thanks so much for such a great recipe. They look delicious, who could resist the warm homey sweetness? Looking forward to the White Chili post! And thanks again for making it - we LOVED it! YUM! I've made Annie's muffins, but my streusel got kind of soggy after a couple days...so I love the idea (and look) of your tasty glaze! Oh dear, I am a lil under the weather and this could cure me. I adore muffins (for breakfast, lunch, dinner or dessert!) But these are certainly decadent enough to make a great finish to a good meal. I love cream cheese and pumpkin :-) Thank you for sharing your words and this recipe. And thank you for your kind thoughts on my own blog. I appreciate you! Love the idea of topping these with a glaze and serving them as individual desserts! They look great. Rosemary-I love these muffins, can't get tired of pumpkins, or cream cheese, there's always some kind of desserts or snacks, that are welcomed with the combos of these yummy ingredients! Gorgeous, and tasty muffins...thanks for sharing! These look fabulous! I love cream cheese filling and the aple butter glaze on top is a nice touch. Yum! I love muffins! They are so easy to freeze and save for later. These look amazing! I do have some pumpkin butter somewhere...hmmm...I wonder.